Click here or call 410-267-9390 to register. The Westin Annapolis Hotel | 7 p.m.
John Holum will address the future dangers of nuclear war or detonations, and the prospects for the control of nuclear weapons from two general perspectives. First, the US and Russia have recently completed the latest in a strategic nuclear weapons reduction treaty, which must be approved by the Senate to go into force. This is the latest of several numerical reductions in launchers of strategic nuclear weapons and warheads on the part of the US and Russia.. It follows the policy of President Obama to have as a global goal a world without nuclear weapons. The second, highly complex issue is in the domain of nonproliferation, where the attempt is to stop new actors, particularly Iran from acquiring nuclear weapons and somehow deal with states which have acquired them and pose a danger from launch or export of nuclear technologies to yet other states. North Korea falls into this category. An additional factor is the role of Anti-Ballistic Missile systems in the relationship between the US and Russia which includes difficult politics among the states of Europa vis-a-vis Russia. There is hope for a drawback worldwide given the history of convincing a number of states to actually give up their weapons programs, but progress today is slow, in particular with Iran and North Korea. This promises to be an educational and interesting session as Mr. Holum was a key architect of the Clinton arms control policies for the full 8 of the Clinton Presidency. John Holum has worked in government service for over thirty years. During the early part of his career he served in a variety of capacities under Senator George McGovern. Later he went on to be a Policy Planning staffer in the Us State Department. In 1992, Mr. Holum joined Bill Clinton’s presidential campaign and subsequently became a member of the Clinton Administration, first as Director of the U.S. Arms Control and Disarmament Agency and then as Under Secretary of State for Arms Control and International Security. How do China’s economic policies, including its undervalued currency and distorted trade balances, affect the U.S. employment picture and national security? 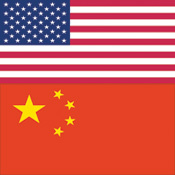 The Chinese and American economies are very much dependent on each other, and though there are tensions over Chinese trade and currency practices, it is in the best interests of both nations to attempt to work out the various issues on the table. Up to this point, negotiators have been unsuccessful in solving the bilateral economic imbalances, but of even greater consequence are the numerous international issues waiting to be resolved pending U.S.-Chinese cooperation. Recently there has been renewed dialogue between the two nation’s leaders, so there is hope of reaching common ground on some of these key issues. This forum will look at the full range of issues on the table of the renewed U.S.-China dialogue. Carolyn Bartholomew is Vice Chairman of the United States-China Economic and Security Review Commission. Prior to this appointment, Bartholomew served as Chief of Staff, Counsel, Legislative Director, and Foreign Policy Advisor to U.S. House of Representatives Democratic Leader Nancy Pelosi. In addition to U.S.-China relations, her areas of expertise include terrorism, trade, proliferation of weapons of mass destruction, human rights, U.S. foreign assistance programs, and international environmental issues. When we welcome Al From, Founder, Democratic Leadership Council and Minister Dan Arbell, the Deputy Chief of Mission of the Embassy of Israel in Washington for an engaging discussion of U.S.-Israeli relations and the current situation in the Middle East. Dr. Imad Moustapha, Ambassador to the United States of the Syrian Arab Republic, has published over 200 articles in English and Arabic in such periodicals as The Washington Post, The Los Angeles Times, LIFE Magazine, National Geographic, and Newsweek. He has authored, co-authored and edited several books in English and Arabic, including The Echoes of Orpheus, Creativity out from the Windows of Hell, and Concurrent Engineering and is also the co-author of the UN-sponsored Human Development Report in the Arab World. He has appeared on several US, British, Syrian, Arab and foreign news programs such as the BBC, Al-Jazeera, NBC, and Radio France International He has appeared in numerous US, British, Syrian, and Arab TV news programs and presented a large number of public lectures in various Arab and American cities. Ambassador Moustapha holds a Ph.D. in Computer Science from the University of Surrey, UK and speaks Arabic, English, French and German. This is a subject he recently discussed at length with Fareed Zakaria of Newsweek on The Global Public Square. His address at The Annapolis Forum on Jan. 28 promises to be an insightful analysis of the current stalemate between the Israelis and the Palestinians and what role Syria can play as an Arab state, a Middle Eastern neighbor and a member of the United Nations. WHERE: Loew’s Annapolis Hotel, 126 West Street, Annapolis, Maryland. On December 1, 2009, the Annapolis Forum is proud to present a preview of the 2010 Legislative Session, led by House of Delegates Speaker Michael E. Busch and Senate President Thomas V. “Mike” Miller. With a $2 billion deficit lurking in the background, the 2010 Legislative Session promises to be an exercise in fiscal creativity. What programs will face cuts? Will education be affected? How will Maryland raise more revenue in the face of mounting deficit difficulties? These questions and more will be answered between 7:00pm and 8:00pm in the Joint Hearing Room of the Legislative Services Building, 90 State Circle – across from the State House. This event is open to the public and is the last free event sponsored by The Annapolis Forum in 2009. Michael E. Busch, 62, is the Speaker of the Maryland House of Delegates. Busch has been a member of the House since 1987, representing Anne Arundel County and the city of Annapolis. Busch has been Speaker since the 2003 session. He attended St. Mary’s High School in Annapolis and in 1970 received his B.S. degree in education from Temple University. He is Co-Chair of the Legislative Policy Committee and a Member of the Rules and Executive Nominations Committee and the Spending Affordability Committee. Known for his even-handed leadership and his willingness to tackle complex issues, especially in the areas of health care, insurance and economic development, he has most recently led the effort to address the rising cost of medical malpractice insurance premiums that helped keep doctors practicing medicine in Maryland. He was voted Legislator of the Year by both the Annapolis & Anne Arundel County Chamber of Commerce in 2005 and the Maryland State Medical Society (MedChi) in 2009. Thomas V. “Mike” Miller, Jr., 66, is the President of the Maryland Senate, a position he began in 1987, the longest-service as president in Maryland’s history. He has been a state senator representing Calvert & Prince George’s Counties in the 27th District since 1975. He attended Surrattsville High School and earned both undergraduate (B.S. in Business Administration) and law degrees (LL.B., J.D.) from the University of Maryland (1964 and 1967, respectively). He is Co-Chair of the Legislative Policy Committee, including co-chair of the management subcommittee, the Senate Chair of the Investigation Committee, and a Member of the Rules Committee. He has been voted Outstanding Legislator by the Maryland Municipal League, awarded the William M. Bulger Excellence in State Legislative Leadership Award by the State Legislative Leaders Foundation and the John R. Hargreaves Distinguished Legislative Fellow Award by the Institute for Public Affairs and Civic Engagement at Salisbury University, and recognized as Marylander of the Year by the Maryland Historical Society in 2007. The Annapolis Forum is proud to announce a partnership with the Ward 1 Residents Association to co-present an exciting event open to all in the city of Annapolis: a televised debate between the candidates for mayor in 2009—Josh Cohen, David Cordle and Chris Fox—at Maryland Hall on Thursday, October 22 from 7pm – 9pm. This event is being sponsored by What’s Up? Annapolis magazine. Moderating the debate will be St. John’s College President Christopher B. Nelson. Assisting President Nelson with the debate will be Naval Academy Political Science Professor Howard Ernst and Center for the Study of Local Issues Director Dan Nataf. This new, combined event replaces the previously announced debate that had been scheduled for Oct. 29 at City Hall. Now that North Korea has begun testing nuclear weapons, the balance of power in Asia is beginning to shift. Is North Korea a threat to the United States? Does China have any influence on Pyongyang and what approach does South Korea suggest the world take? Dr. Yong Deng teaches Asian Politics as an associate professor of political science at the United States Naval Academy. He has published widely on Asian international relations and Chinese foreign policy, specializing in international politics with a focus on Asia and Chinese foreign policy. He taught at Benedictine University for four years and has been teaching at the Naval Academy since 1999. His latest co-edited book is China Rising: Power and Motivation in Chinese Foreign Policy (Lanham, Maryland, Rowman & Littlefield Publishers, 2005). His recent papers include chapters in several edited volumes as well as “Hegemon on the Offensive” and “China Views Globalization: Towards a New Great Power Politics?” Dr. Deng is a member of the National Committee on US-China Relations. C. Richard d’Amato served on the U.S. China Economic and Security Review Commission and is a retired captain in the United States Navy Reserve who served two tours of duty in the Vietnam theatre aboard the USS KING (DLG-10) and three years as an Assistant Professor of Government at the United States Naval Academy. Tuesday, Sept. 22: Credit Card only (no cash) Bar at 6:30pm, Talk at 7:00pm. Annapolis Yacht Club, 2 Compromise St., Annapolis, MD 21404. Free AYC parking lot over the bridge (away from the city dock). Cuba and the United States: Time to end the Embargo? On Tuesday, August 25 from 6:30-8:00pm, Dr. Daniel Masterson, Latin American Professor of History at the United States Naval Academy, and Daniel P. Erikson, senior associate for U.S. policy and director of Caribbean programs at the Inter-American Dialogue, will present ” Cuba and the United States: Time to end the Embargo?” at the City Hall Council Chambers, 160 Duke of Gloucester Street, Annapolis. The talk continues the Fall 2009 schedule of The Annapolis Forum, a new speakers series sponsored by What’s Up? Annapolis magazine. The event is free and open to the public but an RSVP is required by August 21. On July 30, The Annapolis Forum is proud to present a discussion on Iran: Is Iran on the brink of another revolution? What approach should the United States take towards checking the rising power of Iran in the Middle East? 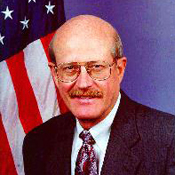 Dr. John Limbert was appointed Distinguished Professor of International Affairs at the United States Naval Academy in 2006 after serving as Ambassador to the Islamic Republic of Mauritania (2000-2003). Ambassador Limbert first joined the Foreign Service in 1973, and his overseas experience includes tours in Iran, Algeria, Djibouti, Saudi Arabia, and the United Arab Emirates. Before joining the Foreign Service, he taught in Iran as an English instructor at Shiraz University (1969-72). He has written numerous articles on Middle Eastern subjects and has authored Iran: At War with History (Westview Press, 1987) and Shiraz in the Age of Hafez (University of Washington Press, 2004). He is fluent in Persian and Arabic. 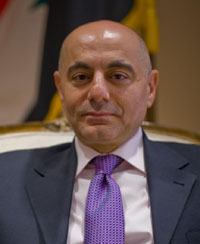 Dr. Trita Parsi is the founder and president of the National Iranian American Council and a vocal proponent of dialogue and engagement between the US and Iran. He is the author of Treacherous Alliance: The Secret Dealings of Iran, Israel and the United States (Yale University Press, 2007), the silver medal winner of the 2008 Arthur Ross Ward from the Council on Foreign Relations. Born in Iran, Dr. Parsi moved with his family at the age of four to Sweden in order to escape the political repression due to his father being an outspoken academic and non-Muslim who was jailed first by the Shah and then by the Ayatollah. He moved to the United States as an adult and received his Ph.D. at Johns Hopkins’ School for Advanced International Studies (SAIS). Dr. Parsi has worked in the United Nations’ Security Council handling the affairs of Afghanistan and Iraq, in the General Assembly’s Third Committee, addressing human rights in Iran, Afghanistan, Myanmar and Iraq. He has taught at SAIS and is currently an adjunct scholar at the Middle East Institute. Dr. Parsi has had articles in the Wall Street Journal, the Financial Times of London, Jane’s Intelligence Review, The Nation, The American Conservative, the Jerusalem Post, Forward, and others. He is a frequent guest on CNN, PBS’s News Hour with Jim Lehrer, NPR, the BBC, and Al Jazeera and is fluent in Persian/Farsi, English, and Swedish. Date: Thursday, July 30: Refreshments at 6:30pm, Presentation at 7:00pm. Location: The United States Naval Academy Alumni Association, 247 King George St., Annapolis, MD 21402. This site is currently under construction. Please feel free to click on the links above to get more information.